Kara is a Licensed Clinical Social Worker with 15 years of experience working with children, adolescents, and families. Kara earned her Bachelor’s degree in special education and her Master’s degree in social work. 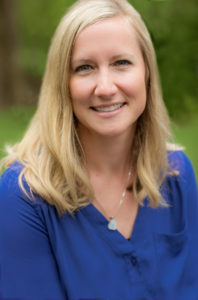 Kara has experience working within the school system, including a therapeutic day school, providing counseling interventions to a support students to access their education and make healthy decisions. Kara has had extensive training and experience working with clients who are experiencing anxiety, depression, difficulties with mood regulation, family stressors, special education needs, and LGBTQ+ concerns. She also enjoys working with young adults and assisting them with the transition into adulthood. As a social worker, she utilizes a variety of therapeutic techniques to empower her clients to develop strategies to overcome obstacles that may be getting in their way of living the life they wish to lead. She believes in an individual’s ability to make changes within one’s life and utilizes an empathetic approach to build rapport with her clients.